Harbour views and the close proximity to Albert Park, an historic park dating back to the 1880’s, adds to the appeal. The campus has a full range of amenities including cafés, health services, libraries, childcare facilities and a recreation centre. The OGGB is a modern, spacious and sophisticated venue with capacity for large conferences. 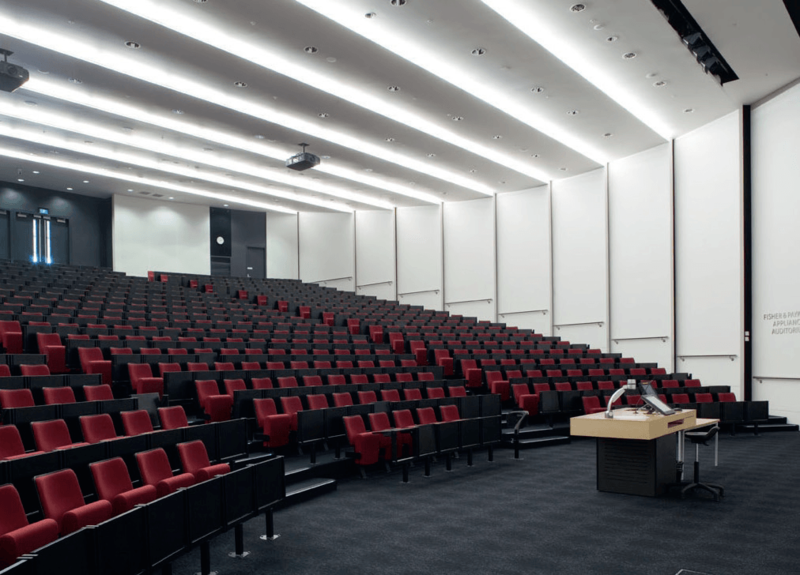 Two large theatres with tiered seating are available, together with a number of smaller rooms for parallel sessions. With world-class facilities and a super central location, the OGGB makes an ideal conference venue. The spacious design of the two adjacent foyers on Level O provide an ideal area comprising 338 square metres for exhibitions and conference breaks. The area is fully airconditioned with multiple power outlets accessible across the floor area. There are no import/export restrictions on equipment for the exhibition. The foyer on Level 1 comprising 324 square metres is available for registration. Free Wi-Fi is available throughout the venue, including the exhibition area, to all conference delegates. The OGGB is mobility and wheelchair accessible and has accessible toilets. Mobility parking spaces are available in the carpark beneath the building with elevator access to the conference venue. 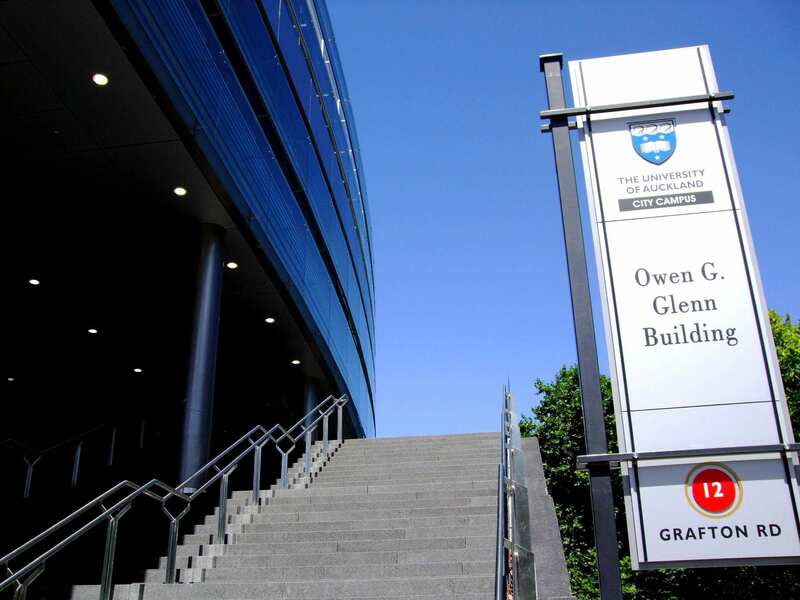 The Owen G. Glenn Building (OGGB), one of Auckland’s most architecturally striking buildings, is situated on the University of Auckland campus which is right in the heart of Auckland and within walking distance of all the main cultural, entertainment and commercial hubs.